Scraps first Debuted in the Duelist Revolution pack back in 2010. But despite their age they still have the potential to be in the competitive scene, obviously not 1 of your top tiers, but these guys can be explosive! Scraps are all EARTH monsters, and contrary to popular belief they are NOT Machine-Type monsters, the vast majority of them are in fact beast. These cards unlike anything before it all base around destroying themselves to get pluses, which you know gives the name "Scrap" a pretty legit reason for being named that. The main objective of a scrap deck is Synchro Summoning, despite their obvious potential to XYZ summon, the Synchro monsters effects are definitely still more relevant to the deck. The vast majority of decent Scrap cards are all tuners. but the non-tuners they do have are so good you don't need too many of them, as well as this they are easily searchable with "Scrap Factory" and "Scrapstorm". On the other side to that the tuner half has their own make-shift ROTA in the form of "Scrapyard" this means that the deck is pretty consistent. 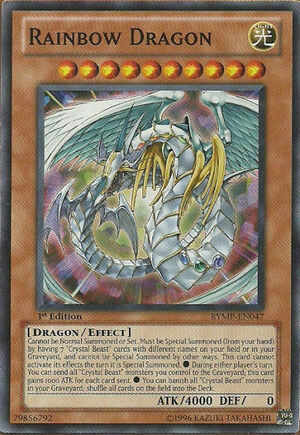 "Redox, Dragon Ruler of Boulders": you can use it to perform Xyz Summons, by using it alongside with "Scrap Archfiend", as well to Special Summon "Scrap" monsters from the Graveyard in order to perform Synchro Summons; if you discard a "Scrap" Tuner monster, you can revive it by using "Scrap Chimera". "Gozen Match": can be harmful to your opponent, if their deck may contain many Attributes, while this Deck will remain unharmed (if your opponent's deck have only 1 main Attribute and this card is a Main Deck card, rather than a Side Deck one, you can use it as fodder to one of the "Scrap" Dragons). "Archfiend Eater": combined with "Scrap Factory", it can trigger its effect. "Green Baboon, Defender of the Forest": can be easily Special Summoned if chained to the destroying effect of "Scrap Beast", "Orthros" or "Kong". "Terraforming": You need "Scrap Factory" so this card is key. "Scrap Factory", "Scrapstorm", "Scrap Beast"
One of your best opening hands. "Scrap Factory", "Scrap Beast", "Scrap Orthros"
With this logic, you can make your own decisions by what you have in hand with cards such as Scrapyard. Remember when you can, get Chimera into hand! It means you have a play for next turn. » Academy Tournament I Rules, Guidelines, and Bracket! » First Official Academy Tournament Sign-ups!